Due to the busyness of work, I didn't have time to prepare a Person-of-Mystery for this week - it'll be back next week for sure, but congratulations to Brian who correctly identified Olave Baden-Powell as last weekend's Person-of-Mystery! 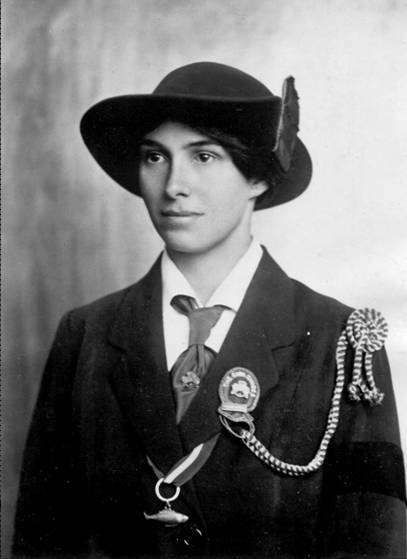 She was of course famous due to her association Robert Baden-Powell, founder of the Boy Scouts and was only ten years old when her future husband won fame for his defense of Mafeking in the Second Boer War. Because of this, Olave wasn't my first choice for a Person-of-Mystery, she was actually my third, but my first two people were so famous, I had a difficult time altering the photos enough for them to be recognizable, but unable to be found by image search results. Enjoy the weekend and hope to be back with you all again soon.